I want to say Happy New Year to all of you . I pray that 2007 will be your best year yet. May you know the favor of God this year. Got this from Mark Batterson's blog. I just got my copy of Simply Strategic Stuff! 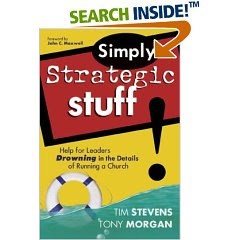 - Help for leaders drowning in the details of running a church. I wish I had had this years ago. Some really good information in it. Check it out. I just got this month's copy of Rev! Magazine. There is an article that is a must read called OUTFLOW by Steve Sjogren and Dave Ping. "What if your church really embraced the idea of letting God's love flow out into your community?" This question is address in the article. 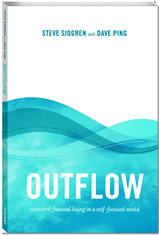 Also Steve has a book coming out in Jan 2007 titled "Outflow." Need to get it! Yesterday, my associate came in and said we have a guest and she says that she has "something that needs to come out". As the service began I could tell that she was uncomfortable. As I preached I could tell that she was even more uncomfortable. After Communion, I gave an invitation for anyone to respond to God's call. 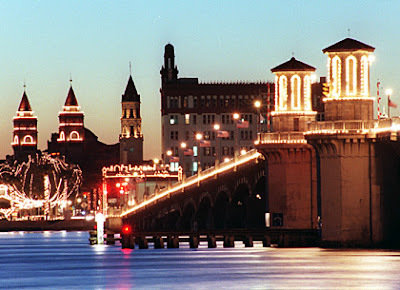 She did, and prayed "the"prayer - God here I am. After the the service she came up for me to pray for her. I asked her what she needed and she told me "it needs to come out". She had been involved in a spiritualist ritual and became "infected" by a spiritual force (i.e. -demonic presence). So we began to pray for her and watched as God set her free from that and many other things from her past. Now here is the kicker about the whole thing. One of our single guys was on his way to church Sunday morning. As he was driving he saw this lady that appeared to be homeless and hiking on the side of the road. God spoke to him and told him to stop and pick her up. Fear and all, he did what God said. He asked her where she was going and she said the beach, but she needed to go to a church because she needed to get rid of this thing. So, he told her he was on his way to church and our church was meeting at a hotel on the beach. So she came in and found what she was looking for. God, please let us be faithful to hear and obey what you are saying to us!